Yesterday, the X Prize Foundation (www.xprize.org) announced the finalists in the Progressive Automotive X Prize, a $10M competition geared at advancing automotive technology and developing 100 MPG automobiles. We spoke with Peter Diamandis, Chairman and CEO of the X Prize Foundation, and Progressive Insurance CMO Brian Silva, as the foundation kicked off its testing at the Michigan International Speedway, to get the firsthand story on the prize and what the foundation is hoping to achieve through its efforts. Thanks for the time this morning. For our readers who haven't heard of the Progressive Automotive X Prize, can you talk about what it's all about? Peter Diamandis: We, with our partner Progressive Insurance, have a $10M dollar competition to develop vehicles that are fast, affordable, and safe and get over 100 miles per gallon (MPG) or equivalent. We had 132 vehicles enter the competition, and are slowly narrowing it down to the top three. Entering the finals, we have nine vehicles from seven teams, who have reached the final validation phase. Is 100 miles per gallon a feasible target, and how did you pick 100MPG as the goal? Peter Diamandis: We picked a hundred for sociological and psychological reasons, because it's something people can aim for. It's also on the edge of what is achievable and audacious. I think we picked the number one hundred and it's been right on, because it's hard to get a 100 miles per gallon or equivalent. But, a number of vehicles in the nine finalists are able to do it. If it had been easier, we might have had 30 or 40 vehicles in the finals. A hundred is the right target. How do you think the technology these teams will actually impact the auto world? Brian Silva: It's not just power systems that are driving these changes. It's the aerodynamics systems that allow them to flow through the air more easily, it's the suspension systems which allow three wheeled vehicles to maneuver really well in dynamic lane changes. It's the control systems that help monitor the effective use and parse out the energy to the vehicle when it's most required, but not when it's not required. All that in combination, more than just those points, is what this is all about. Is there any one big technological challenge the teams have had to overcome to hit your goal? 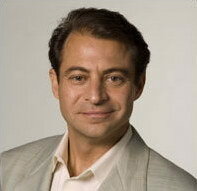 Peter Diamandis: I think there are fair number of them. First of all, they have got to be able to do endurance. They have to be able to have a 200 mile range in the mainstream class, and 100 miles in the alternate. They have to be able to go from 0-60 in a reasonable time, and brake to zero. They have to be able to get 100 miles per gallon, which is the hardest thing. And, all these technologies have to be useful to humanity now, and not twenty years from now. I think when you started the prize, there wasn't a focus on alternative energy and new technology in the automotive area, but now it seems there's been a big shift to focus on this area, between U.S. government loans and lots of investment money. How has that changed what your goals are on the competition? Brian Desilva: I don't think it's so much as changed our goals, as much as reaffirmed what we've tried to achieve, which is to provide the kinds of vehicles people want to buy, with super efficiency, the safety they need, and the type of performance in the cars they require. It's a good demonstration of the vision the X Prize brings to various different kinds of areas. When do you think people might see this technology in a commercial vehicles? Peter Diamandis: Some of these vehicles are for sale already. You can already put down money for the Aptera, which is a Southern California company, or the Tango. Some of the vehicle teams are already in negotiations with folks like General Motors, for example. You'll see some of the whole vehicles, or subsystems powering those vehicles, in vehicles soon. I remember being out in the Mojave desert back in 2004, when Northrop Grumman bought a majority stake in Scaled Composites, and Richard Branson came and bought the license rights for SpaceShipOne to build SpaceShipTwo. That kind of points out why we're here in Detroit, so that car companies can come see what going on and hopefully acquire some of the technology to put into production. Of the remaining teams, what are the big challenges ahead, and what will make the top team standout? Brian Desilva: Right now, the teams are going to a locked down space, where are going to get really strong measurements on their dynamics, then they go to Argonne Labs in Chicago for anenometer testing to really validate what we see here on the track. So there's a little bit of a challenge in front of them to get through the difficult testing for them over the next four weeks.